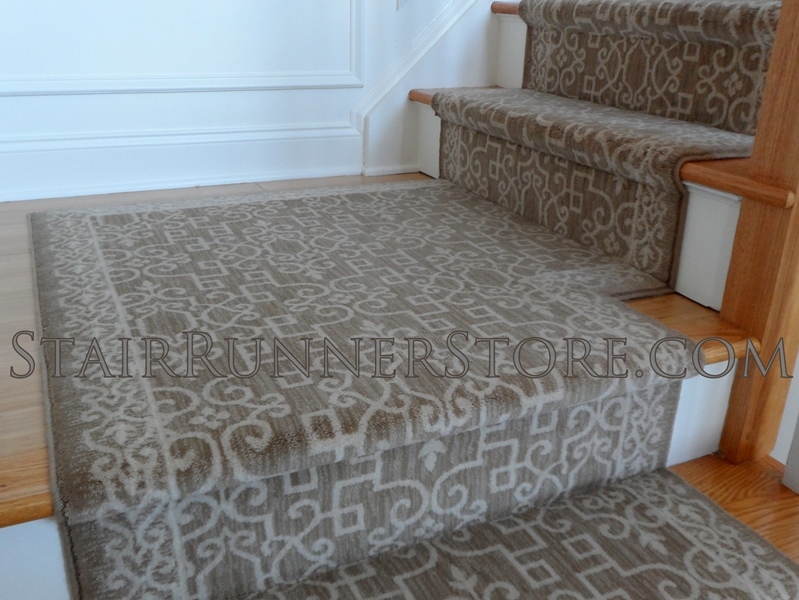 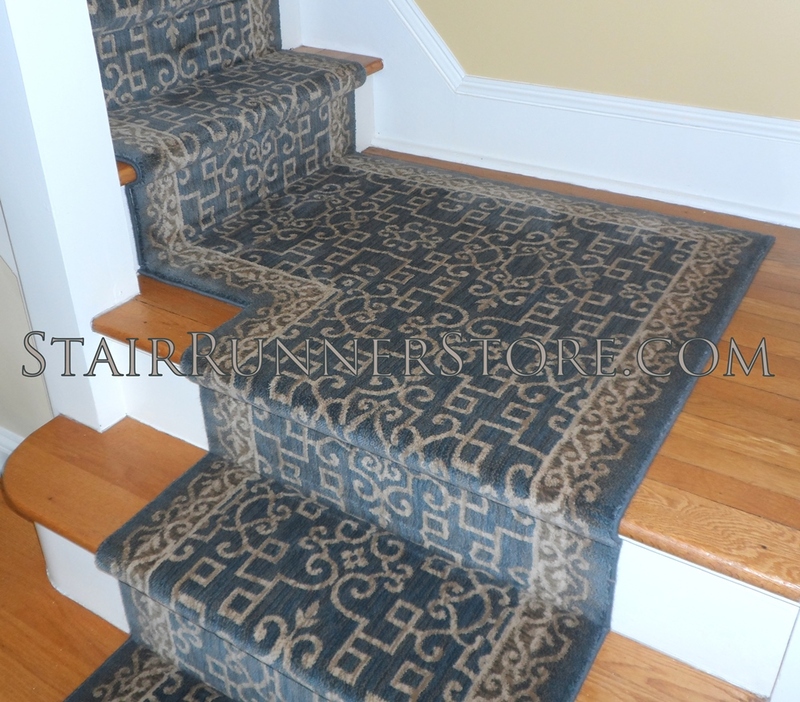 Contemporary Stair Runner with custom landing fabrication, and custom rug below. 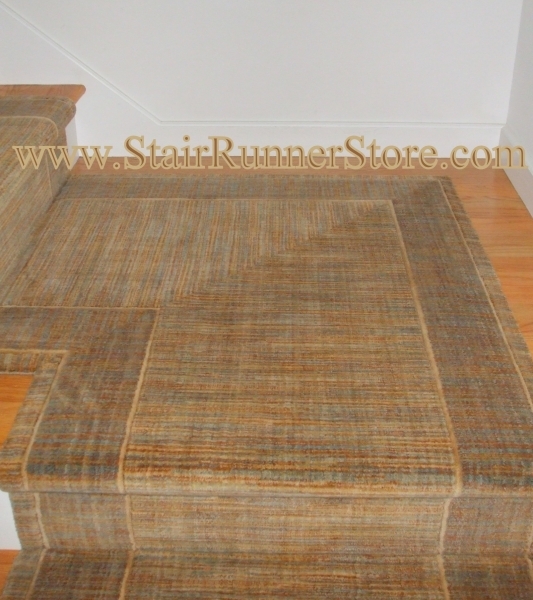 Contemporary Stair Runner with custom landing fabrication. 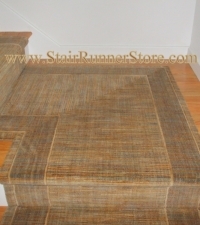 Contemporary Stair Runner with custom landing fabrication. 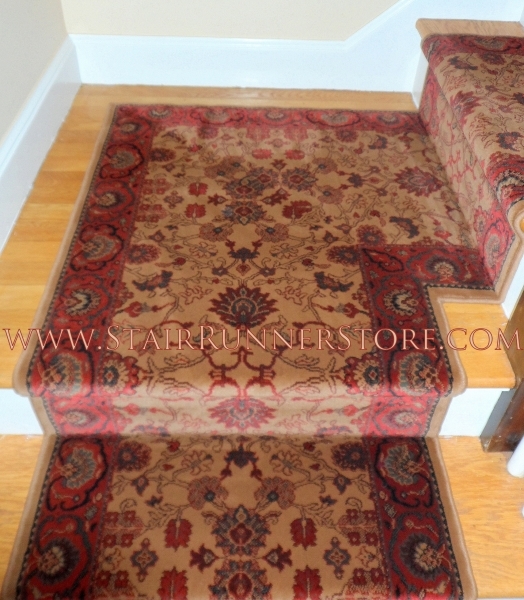 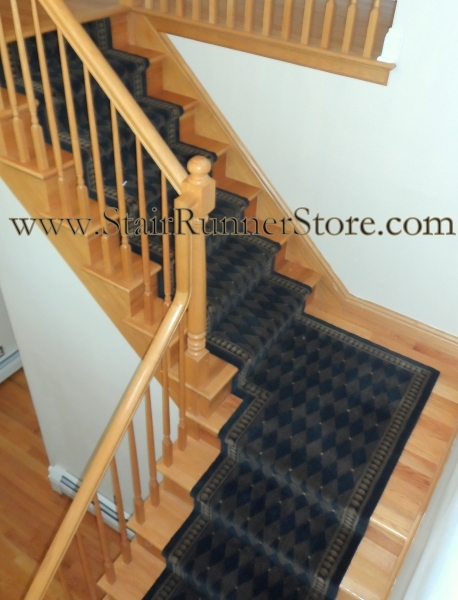 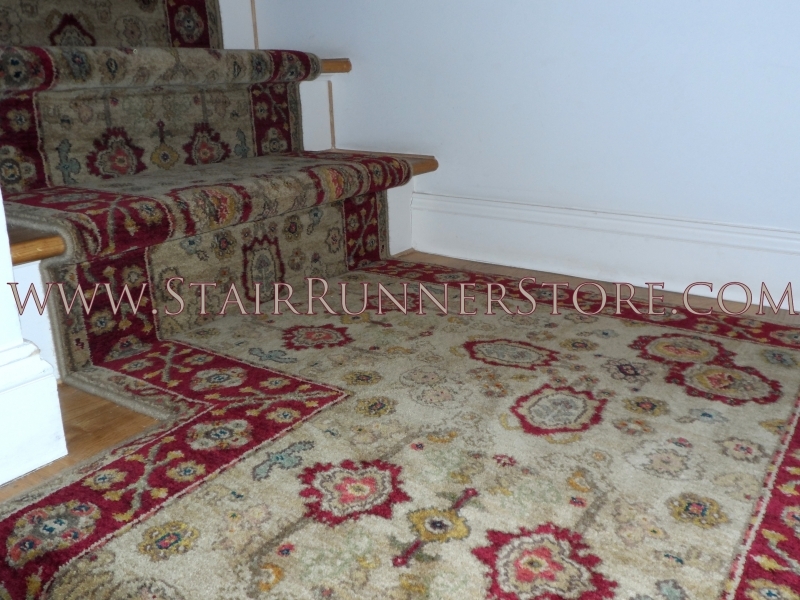 www.StairRunnerStore.com Oxford, CT.
All installations we publish are real – actual installation and custom fabrication work by owner, John Hunyadi. 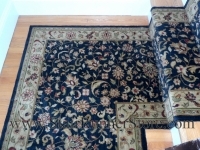 Please feel free to look closely to appreciate John’s craftsmanship. 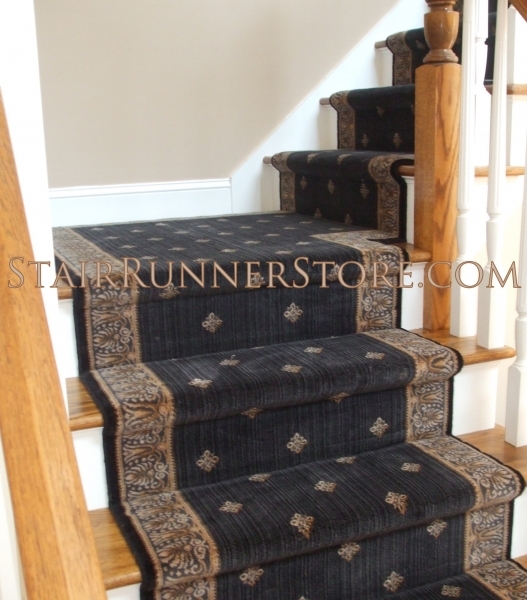 Begin your own project by browsing our searchable Stair Runner Selection to select the stair runner swatches you would like to order. Single Turn or “L” Shaped Landing Installations: Single landing stair runner installations include a landing or platform which is either square or rectangular in shape. 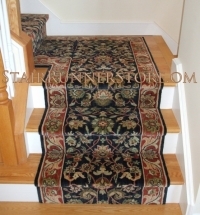 This is the most common type of staircase landing we find in our customer’s homes. 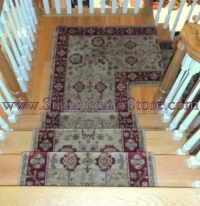 We refer to a a single landing as a one that forms a right angle within the staircase, as it connects two sections of standard steps creating an “L” shaped staircase overall. 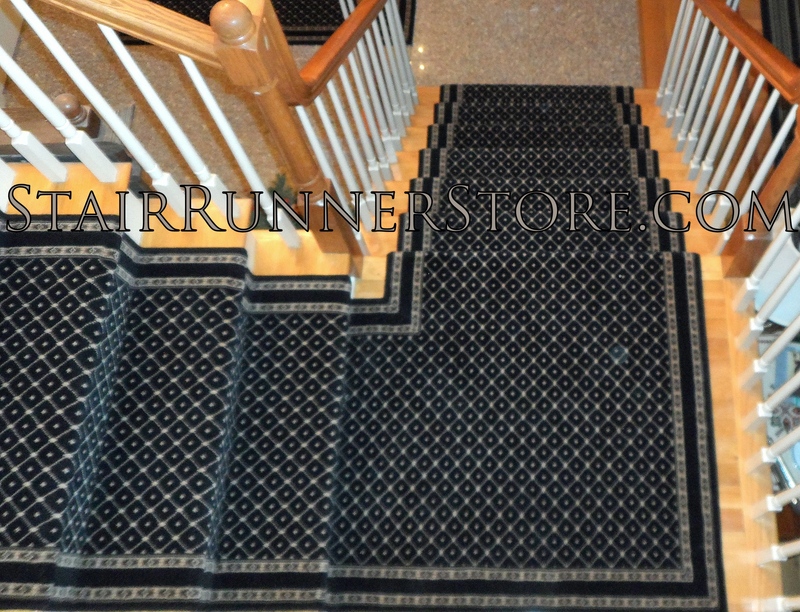 We often see staircases with just one but there can be a second landing at another point in the staircase. 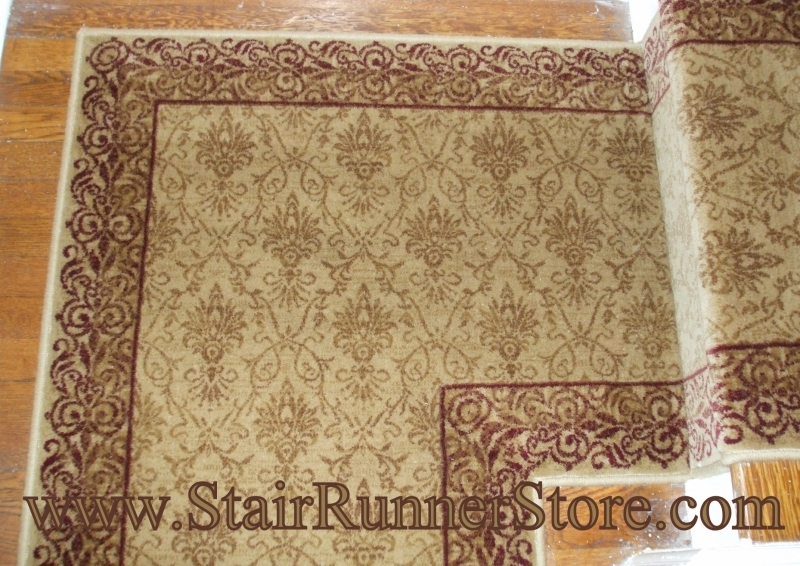 These types of turns are often found in a hall runner as well. 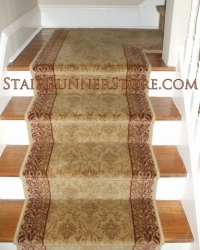 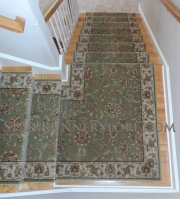 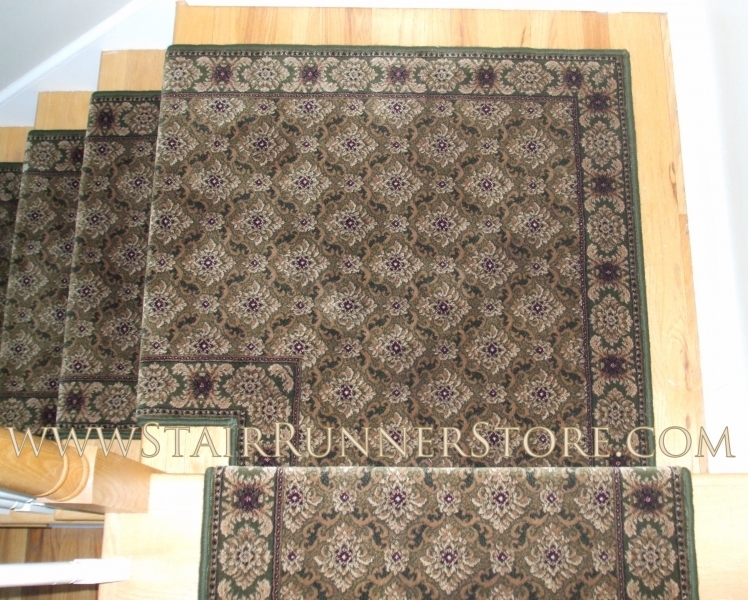 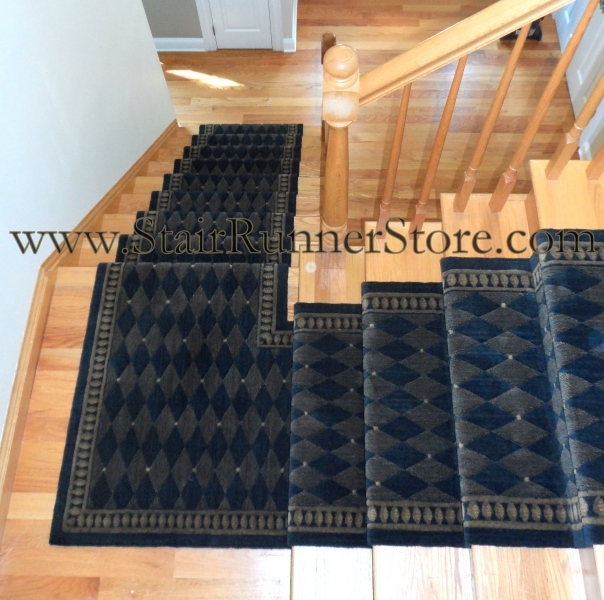 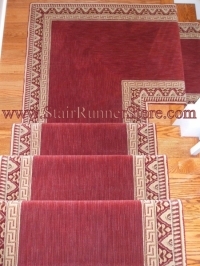 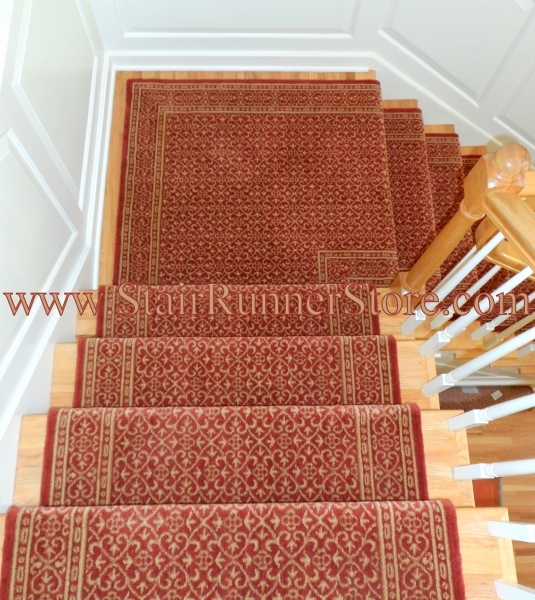 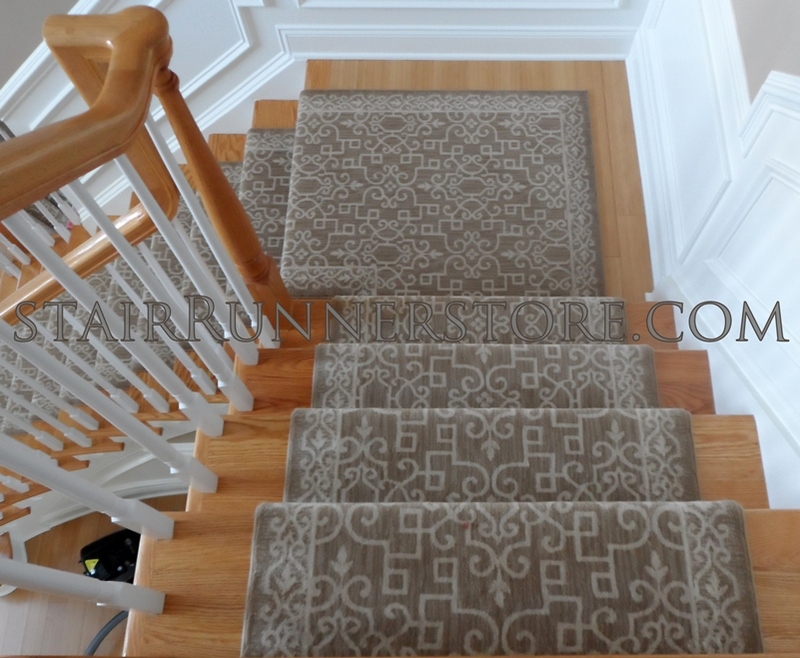 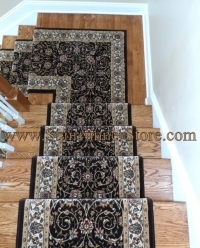 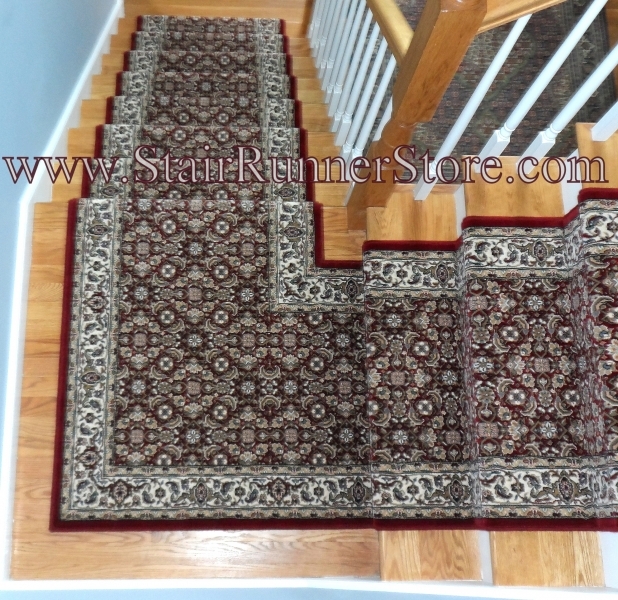 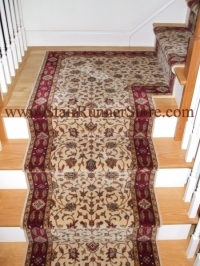 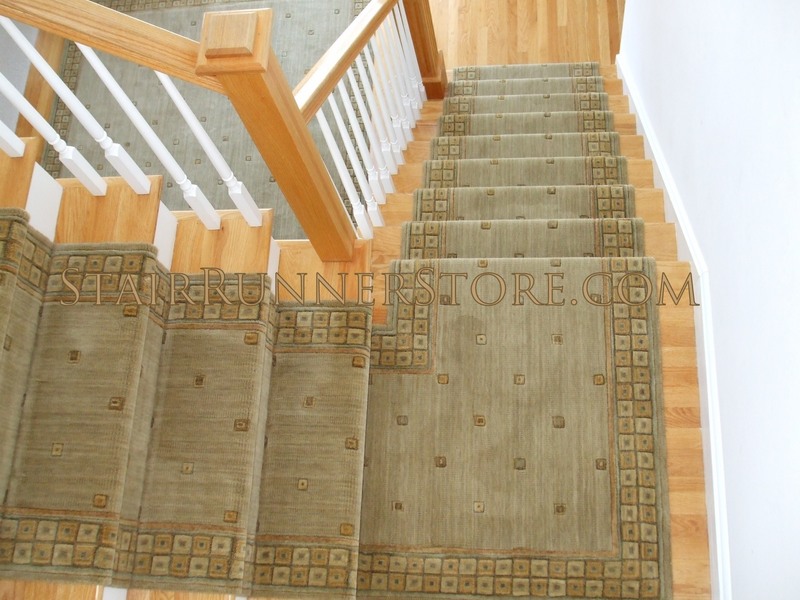 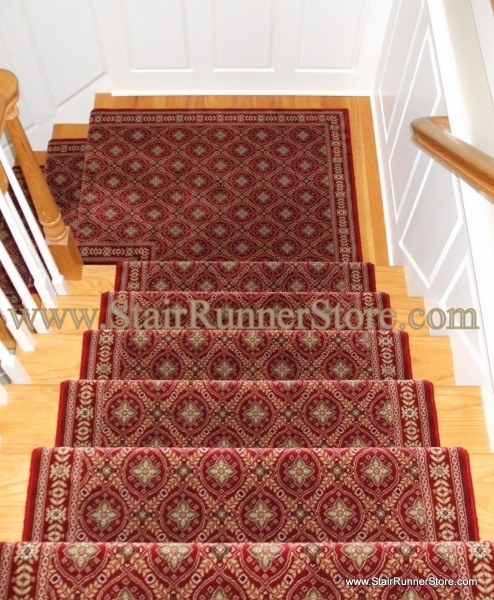 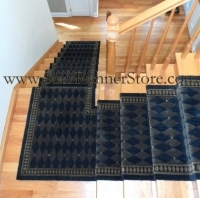 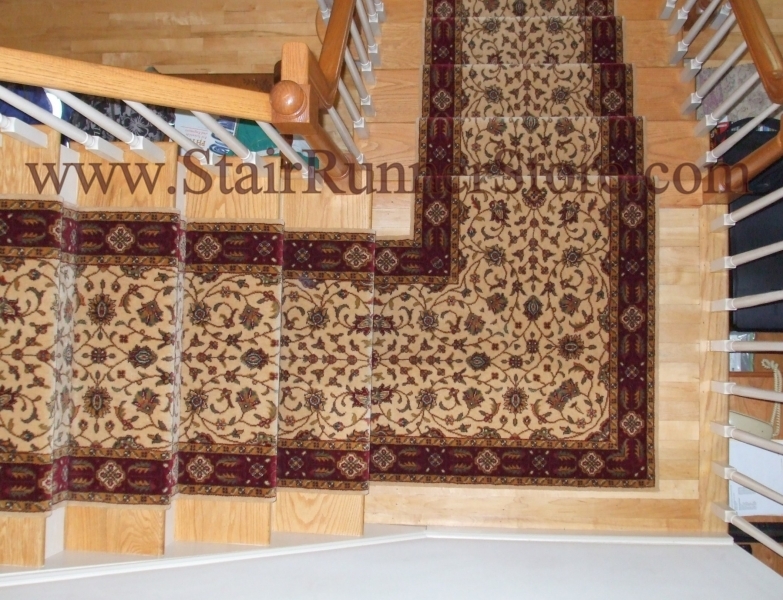 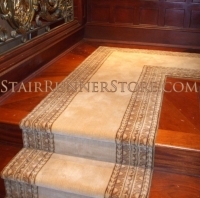 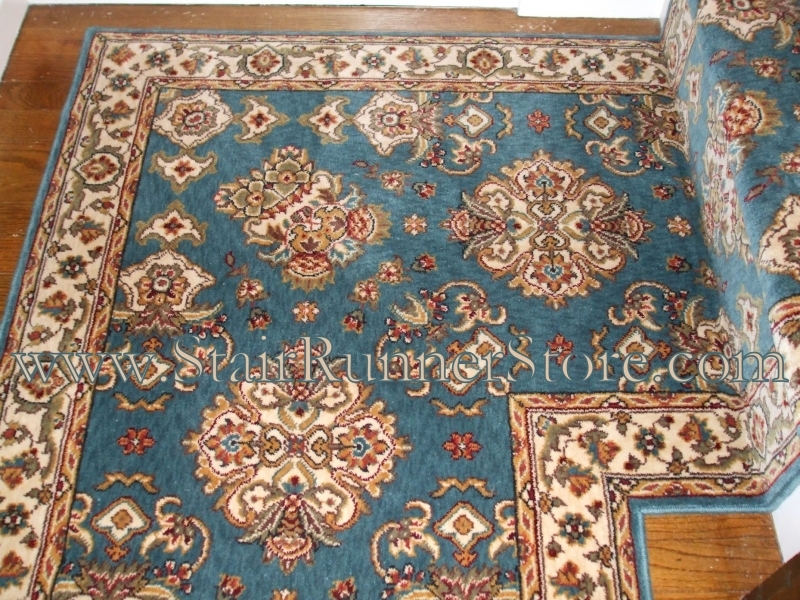 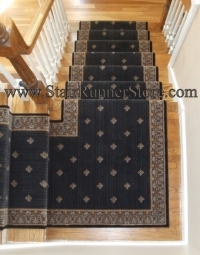 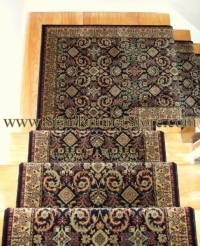 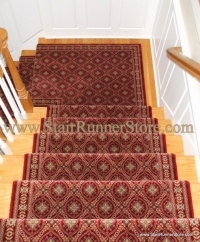 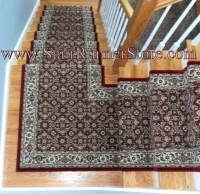 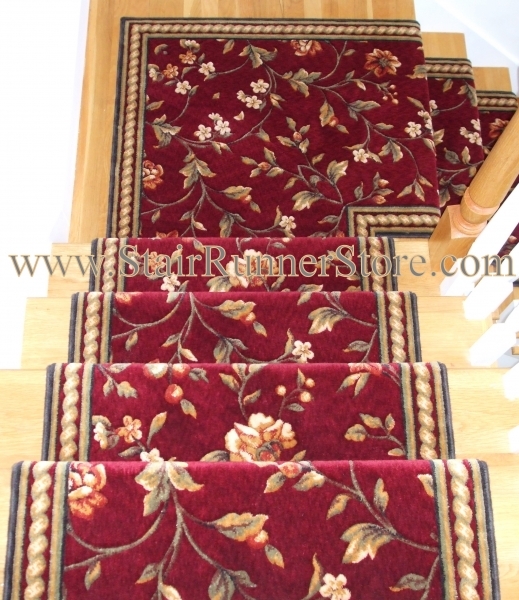 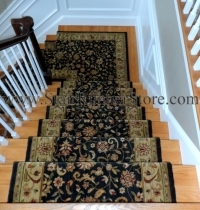 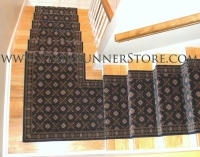 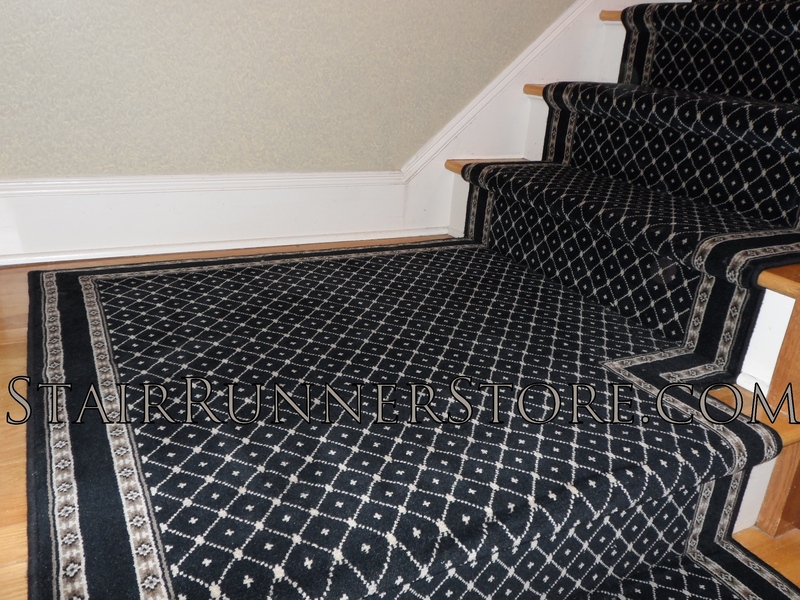 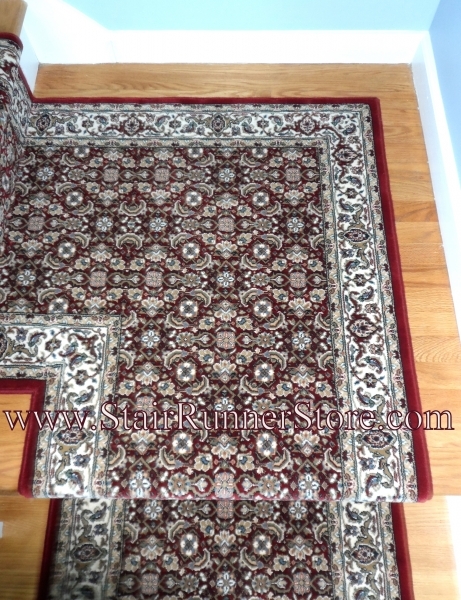 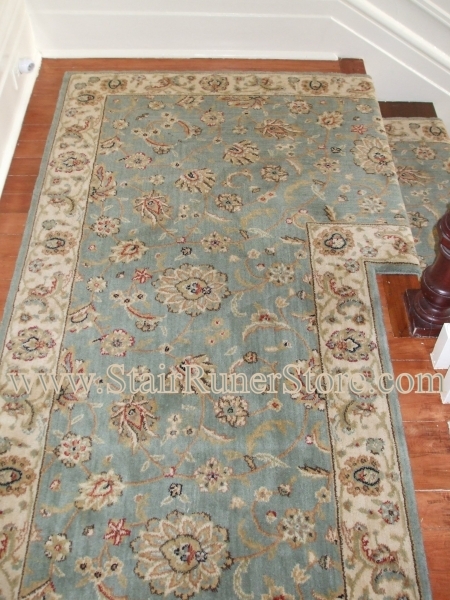 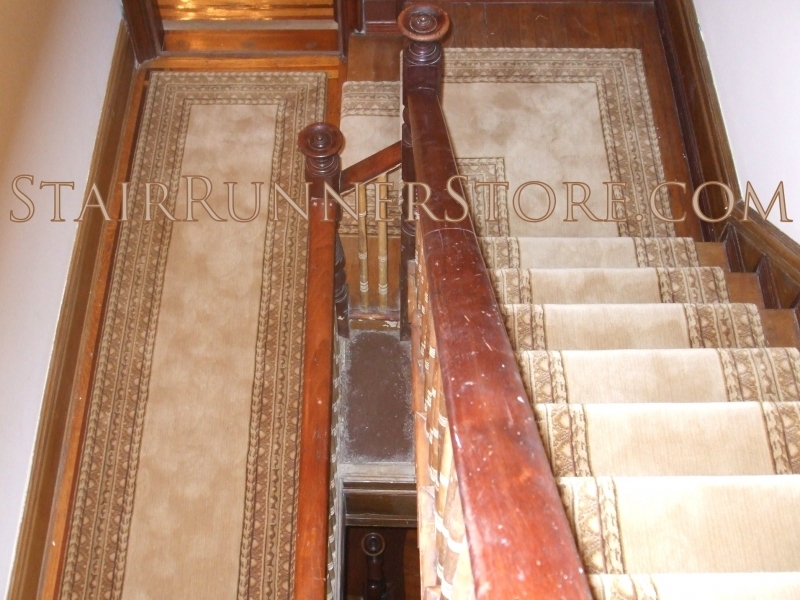 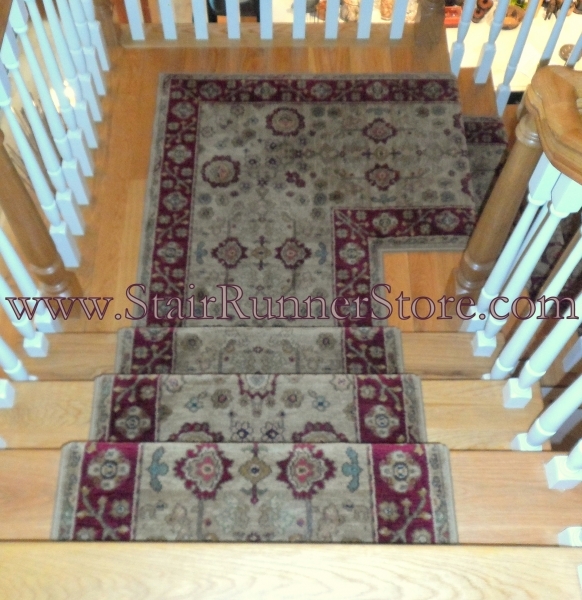 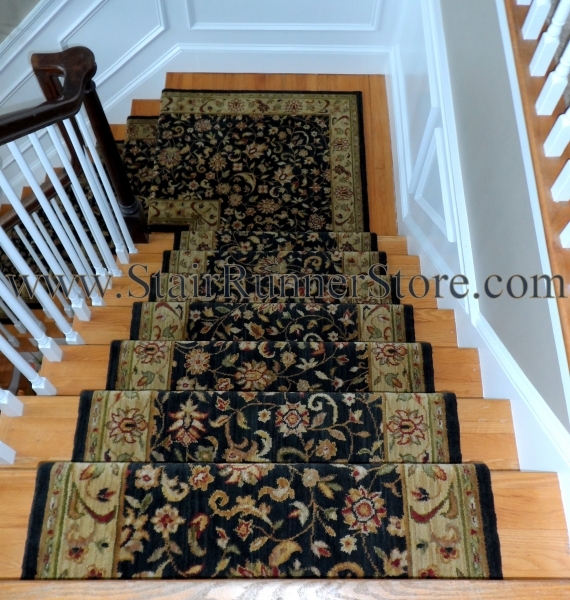 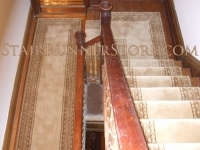 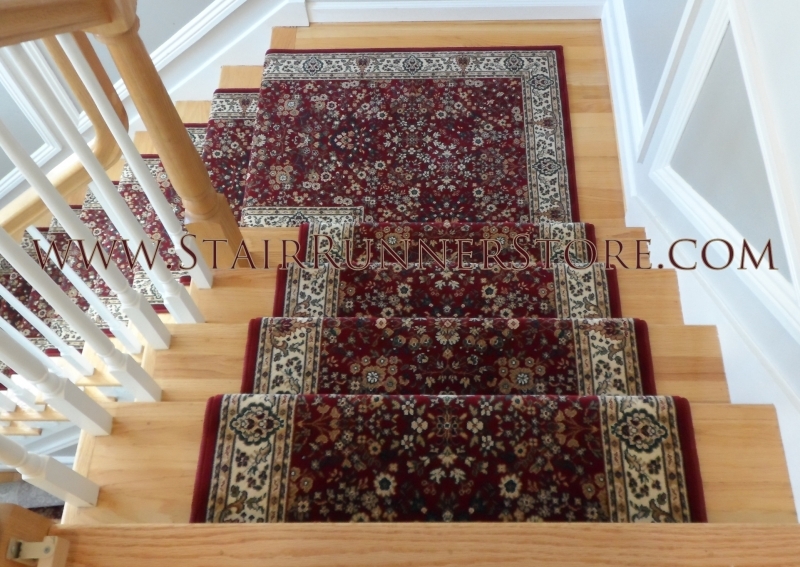 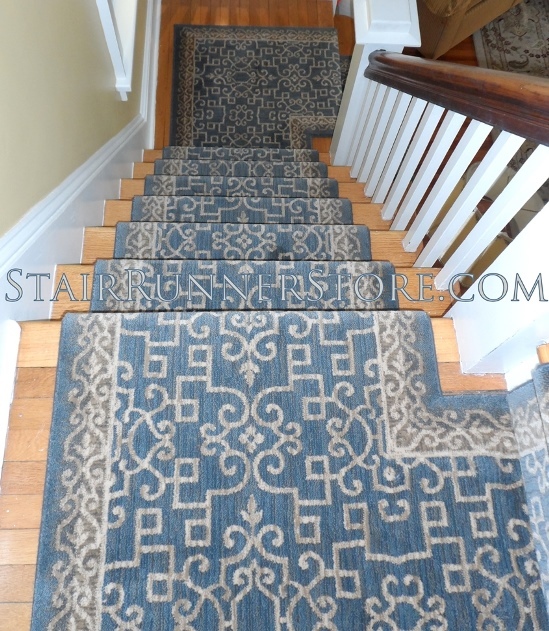 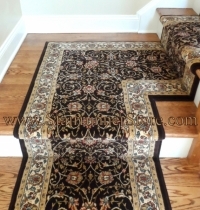 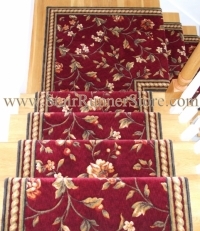 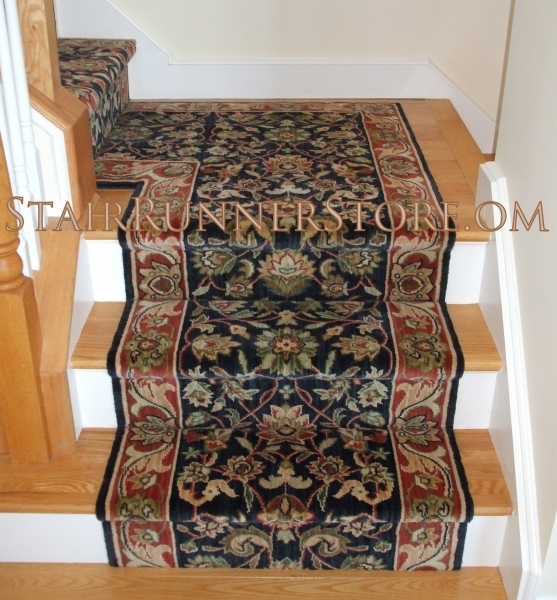 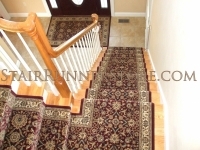 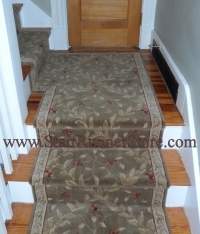 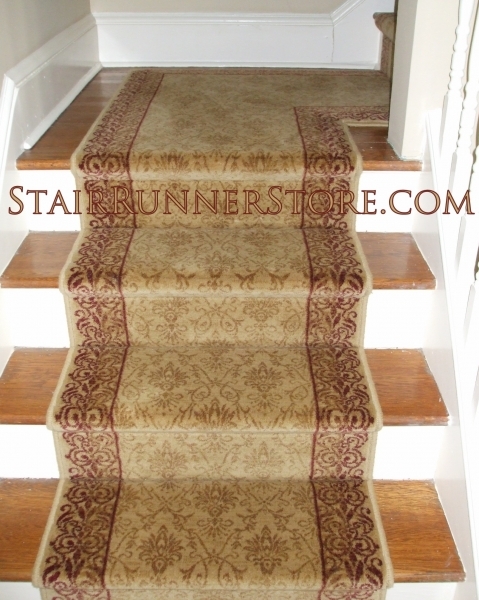 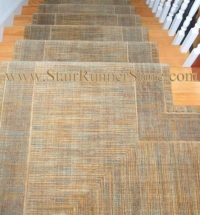 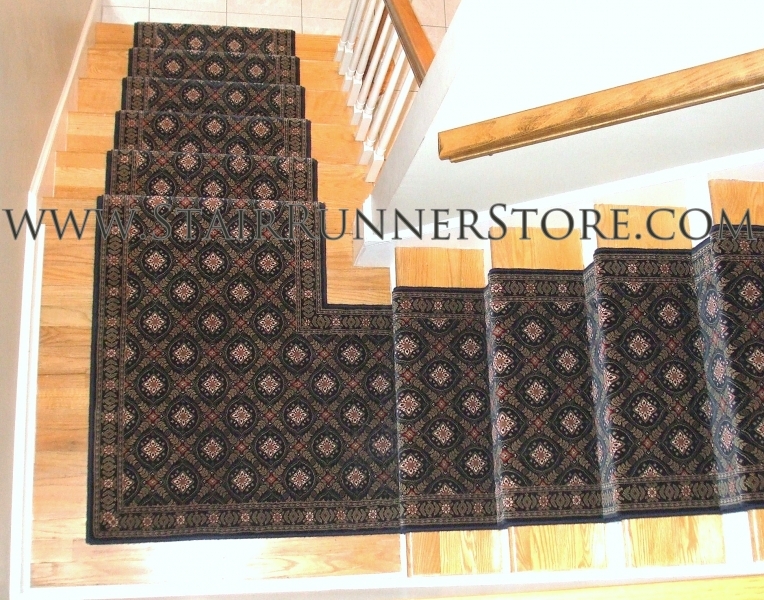 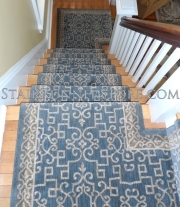 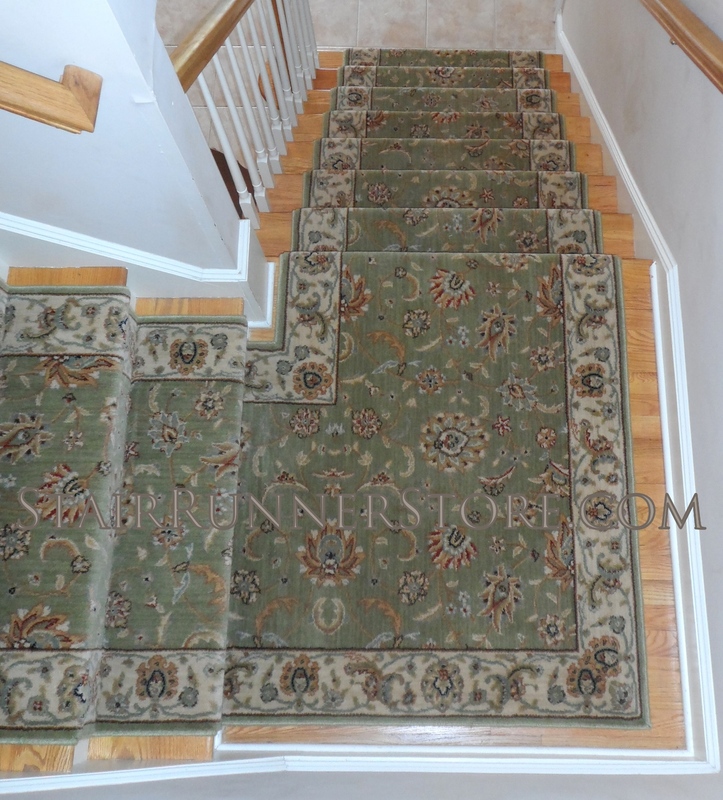 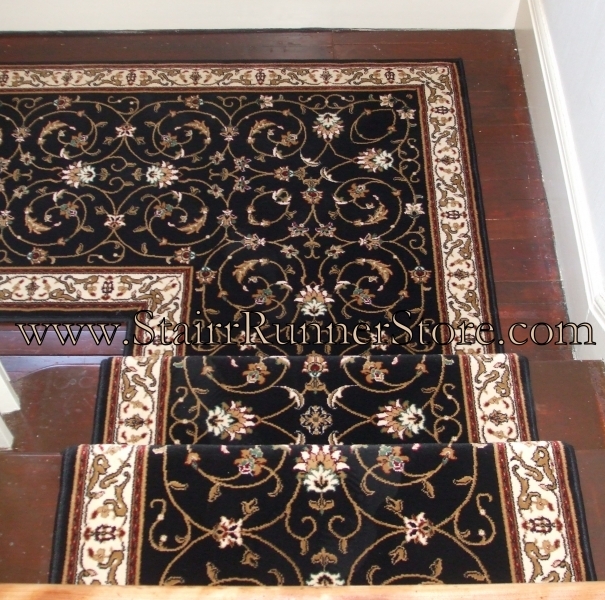 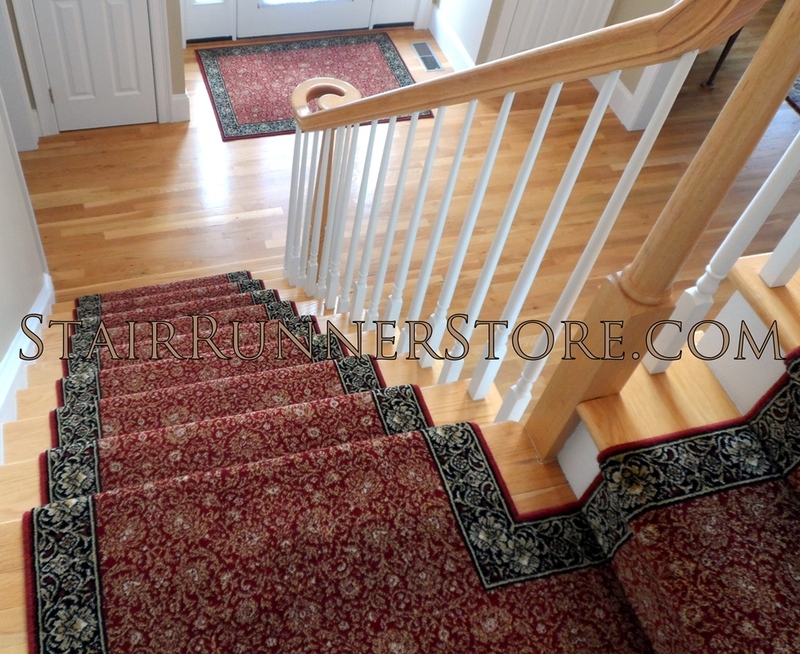 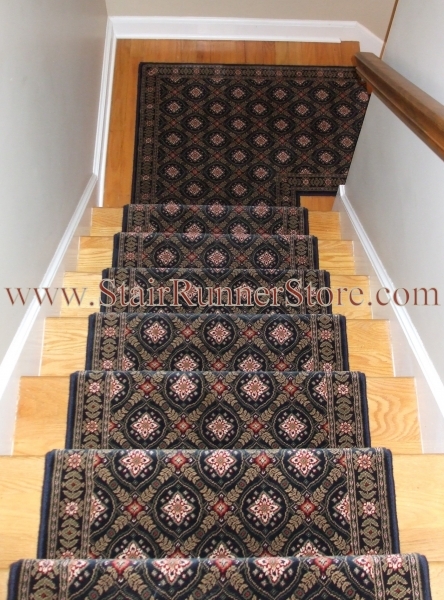 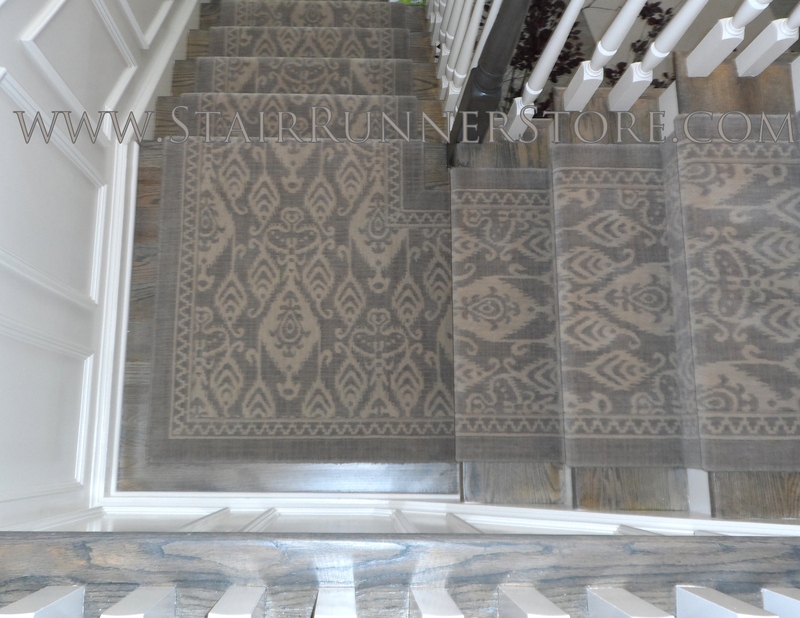 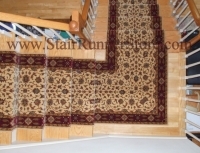 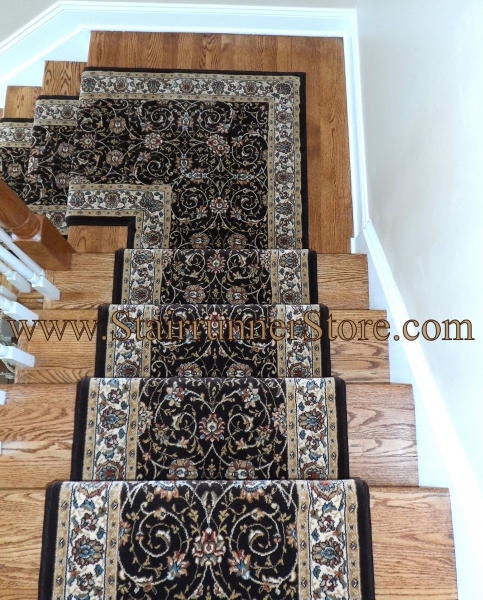 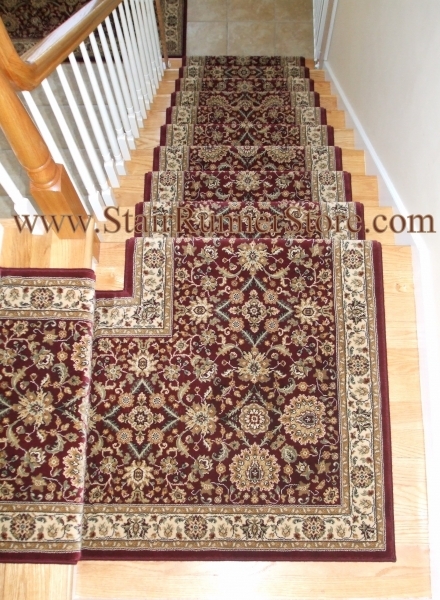 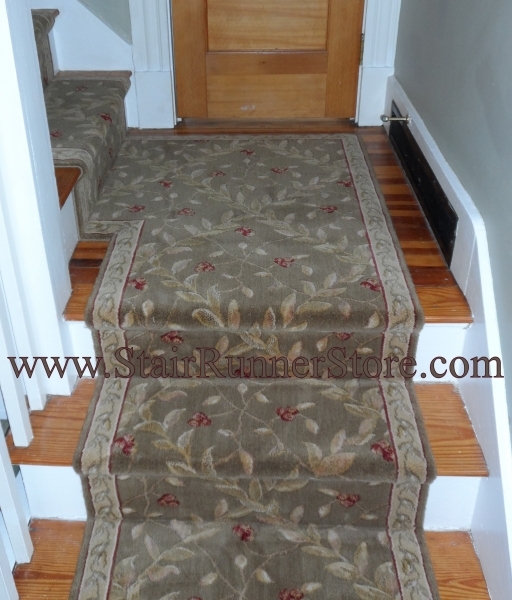 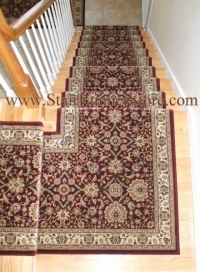 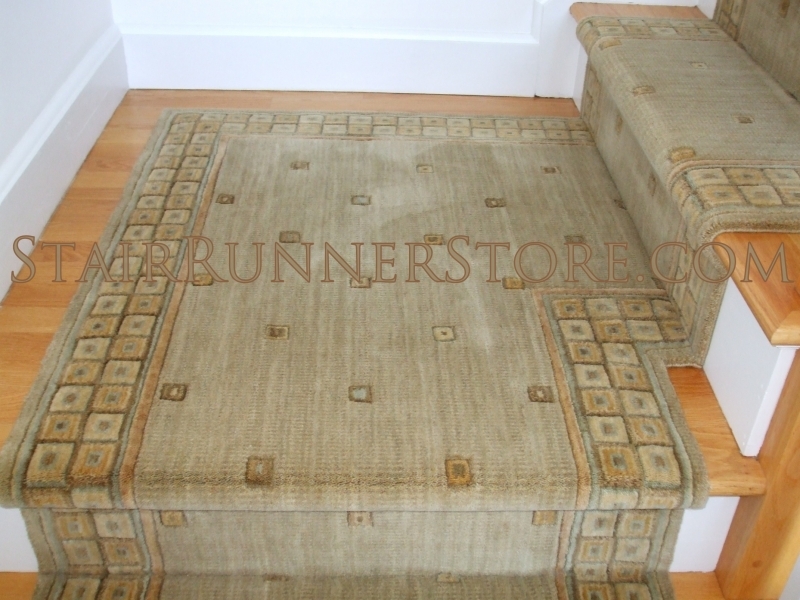 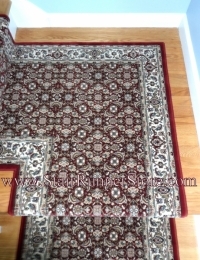 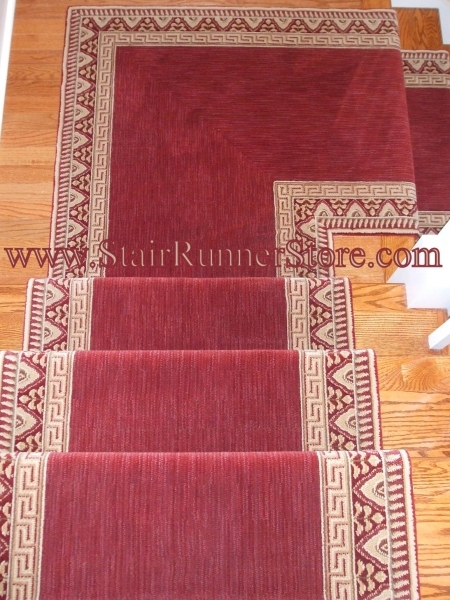 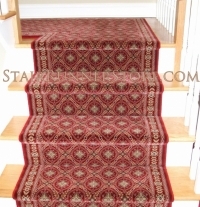 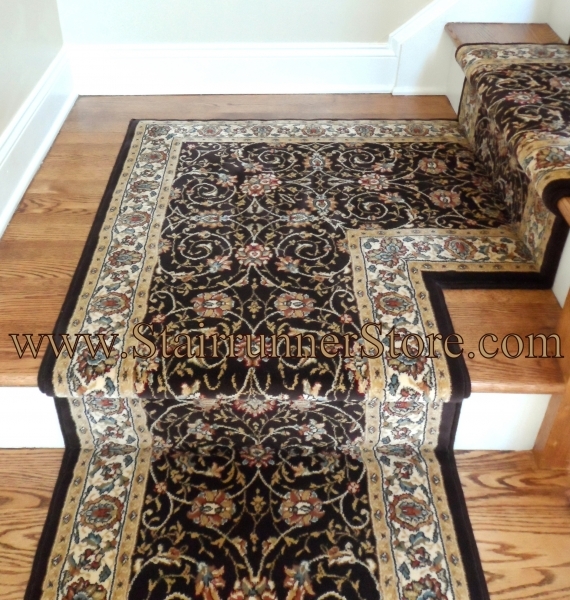 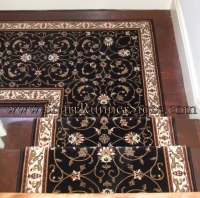 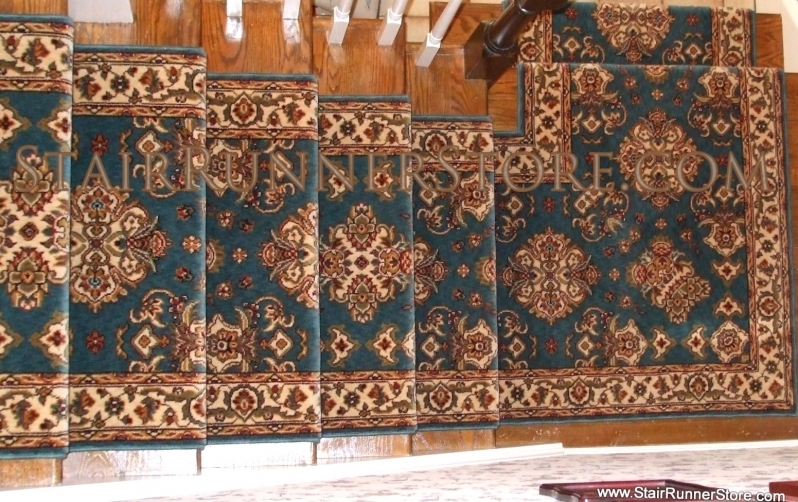 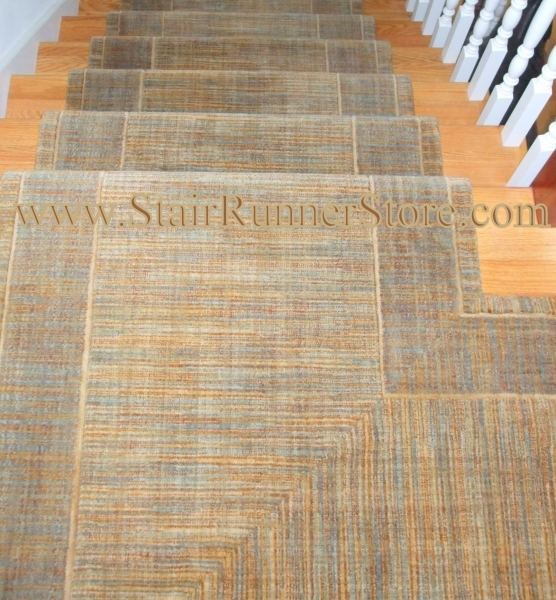 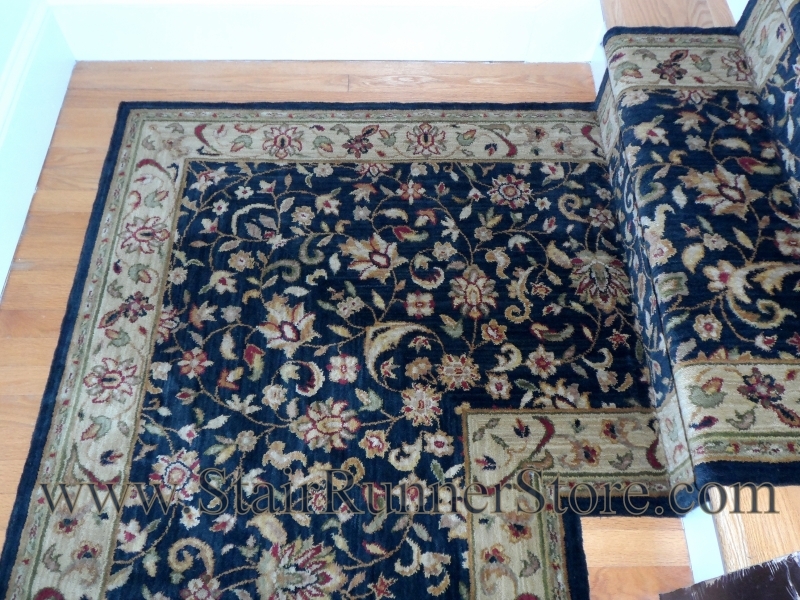 Click the images below to see a larger view of Stair Runners Installed on Single Landings. 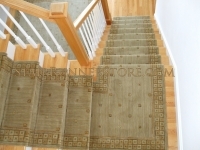 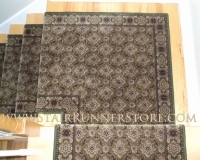 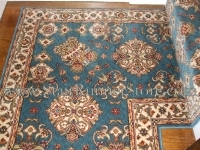 Each single landing installation photo also offers a link below it that will take you to the stair runner product used.